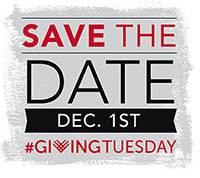 #GivingTuesday is a global day of giving back during the consumerism of the holiday season and this is a great opportunity to double your donation. Breast Cancer Action really relies on your support because we are fiercely independent. We refuse corporate funding from companies that profit from or contribute to breast cancer so that we can always put women’s health first. That means we rely on individuals like you to fund our work! On #GivingTuesday, a generous donor will match every dollar you donate so your gift will have double the impact. So please plan on including Breast Cancer Action in your #GivingTuesday donations and help us raise $25,000 to fund our work for women’s health. Thank you so much for your support and “see” you on December 1st. ← Who Will Protect Us from Toxic Cosmetics?